People prefer Zen home decorations, mainly because they bring peace and relaxation. The bedroom is the most important room of a house, the place where one should enjoy relaxation. Place a taupe candle on your nightstand and you will definitely create a beautiful Zen atmosphere. Its subtle scent has calming effects. 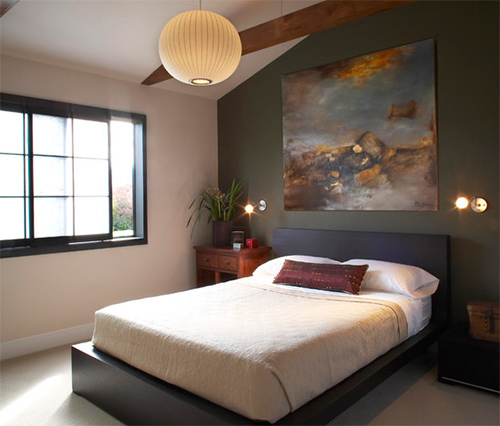 Many people who are looking for a Zen bedroom opt for natural colors such as brown, white, or green. For the illusion of more space, emphasize the windows. You may place next to them a vase of flowers. You may even try an Asian look, buying Zen-inspired closet doors. In order to create a sophisticated Zen living room, use oriental decorations. You may go for white couches, decorative pillows, and an Asian wardrobe. 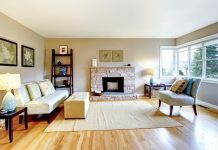 If you place in the center a coffee table, you will have an interesting example of Zen place. Use earthly colors, and for a bigger effect, find a Buddha statue. It looks peaceful and calm and it adds a plus of serenity in any place. You may even add some bamboo lanterns on a side table. They will look great and their flickering candlelight has a beautiful and calming effect. And if you want to add a little scent into the room, purchase a scent diffuser set. You may choose a white elegant bottle that goes perfectly with your decorations. Make from the place where you eat something special. You don’t need many things in order to achieve the desired look. Add for instance a few white pressed bamboo lacquer bowls made from natural materials. They are practical and make every dinner a unique experience. You may even place a Buddha statue, which goes perfectly in every place from the house. 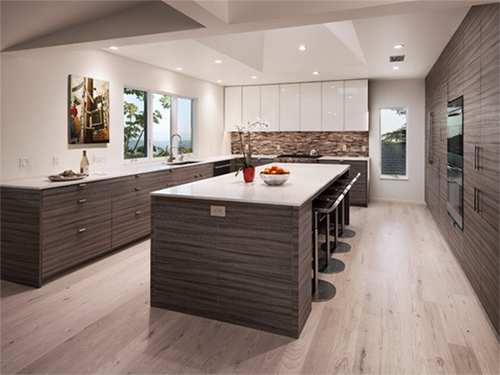 When it comes to the kitchens, one should keep them as simple as possible. 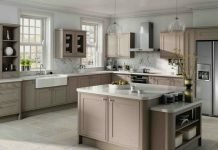 Neutral colors are a must have, you may add a pot with your favorite flowers, and even purchase some Japanese style tea cups, placing them in a visible spot. Take five minutes every day and enjoy your hot beverage in peace. When it comes to the bathrooms, use as much bamboo as possible. 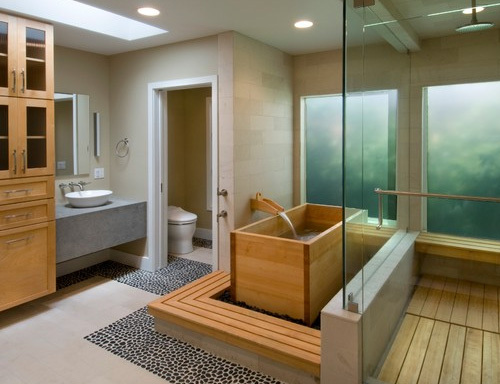 One interesting choice would be to place some decorative rocks under the bathtub because usually Zen bathrooms are used as home spas. If you want something more elegant and unique, add an orchid next to the sink. 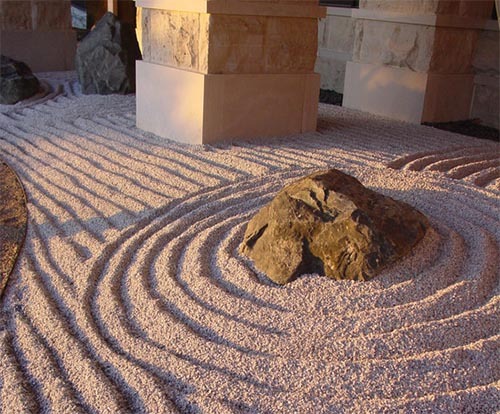 The most memorable Zen gardens are minimalist and they have rocks with circles around them. The place looks quiet and it is very simple to create. You may use some decorative yard glass if you are looking for something more complex.